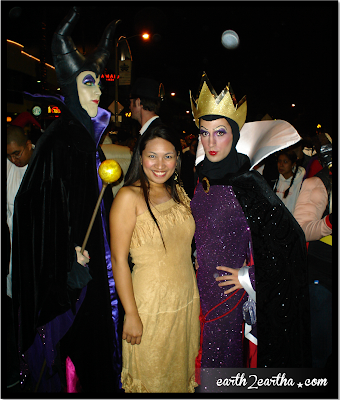 Ever since I've moved to Los Angeles in 2006, I've attended the West Hollywood Halloween Costume Carnaval! I love Halloween! On October 31st each year, Santa Monica Boulevard between Doheny and La Cienega turns into a melting pot of creative freedom, mostly coming from the gay community. It is their (and everyone else’s) chance to truly be themselves: big, bold, bright and beautiful! Seriously, the creativity that goes into these costumes and make-up blow my mind! The first year I went, I was so floored by what I saw, my mouth was open the whole time (which really didn’t go well with my Pocahontas costume). The WEHO Carnaval or the “parade” as we call it, is the biggest Halloween street party celebration in the world. The thing is – it’s not really a PARADE parade. They just close off that one mile stretch, and people show up in costume, and that’s it. There are certain areas that have a stage where musicians perform, some have DJ’s, etc… All of the bars are thriving and open for business and the atmosphere is always more fun… but mainly, what you do is just walk. You walk to see and be seen! I know it may sound lame, but TRUST ME. It’s anything but. It’s freaking AWESOME! I didn’t realize it till now, but I’ve actually never missed Halloween on West Hollywood. I’ve been to every single one of the 'parades' ever since I moved here! 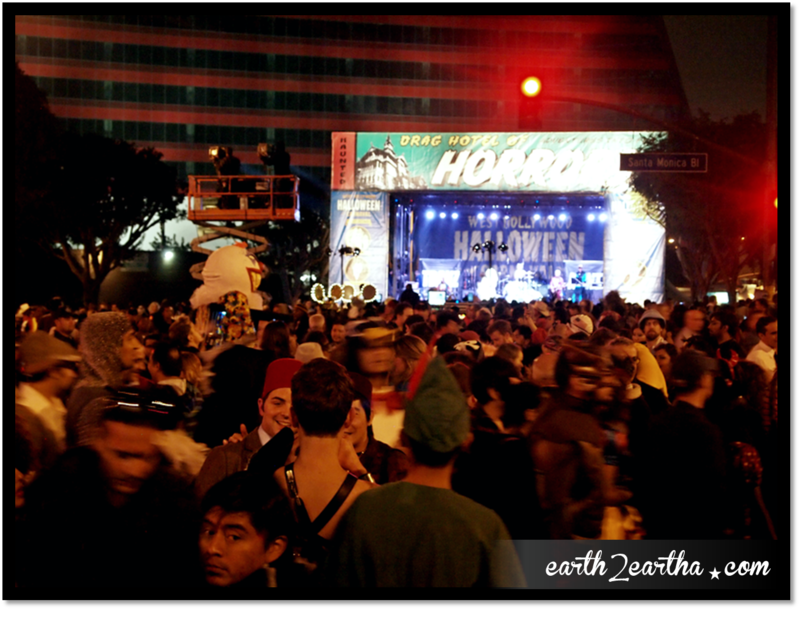 In fact, if you are planning on visiting Los Angeles, I'd recommend that you time it so that you're here for Halloween! As you can see, I like choosing characters that go well with my long dark hair. This year – I went rogue and dressed as a blonde! Khaleesi from The Game of Thrones! Danaerys Targaryen with a fuzzy Dragon! 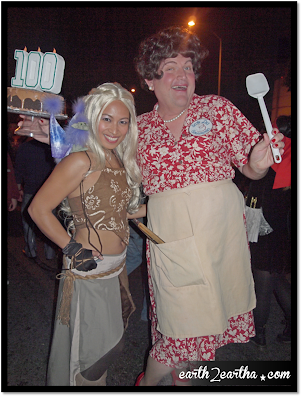 My costume choices are pretty ‘safe’ compared to the ones you see at the carnaval… Actually, I go specifically because I like seeing what kind of costumes other people come up with… My favorites are usually the drag queens and their overly elaborate shining shimmering outfits. 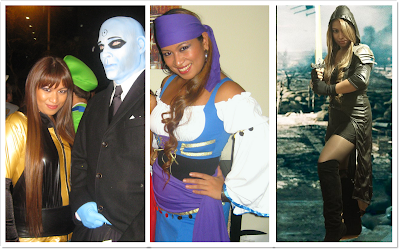 There’s also typically a common popular costume/theme that everyone seems to wear, depending on the pop cultural or political events that happened on that year. 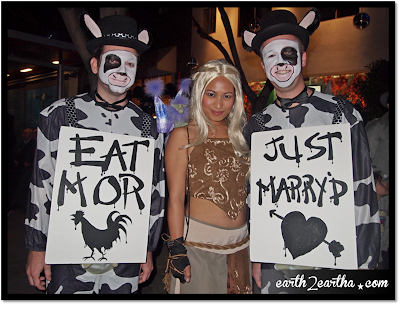 For example, one year, everyone came as Lady Gaga, another year it was Steve Irwin and a sting ray, and another year it was the Swine Flu – people dressed up as sick little pigs. This year, I thought it might be the PSY Gangnam Style guy but I was wrong. I did see a couple of them though, but I didn’t see any recurring awesome costumes. 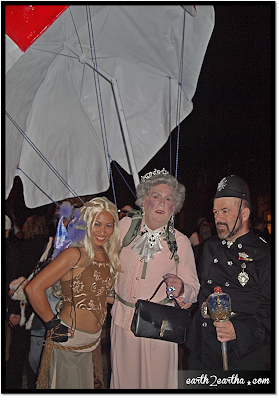 My favorite of the night was Queen Elizabeth and her parachute! It's so smart!!! She even has her guards to hold her scepter! 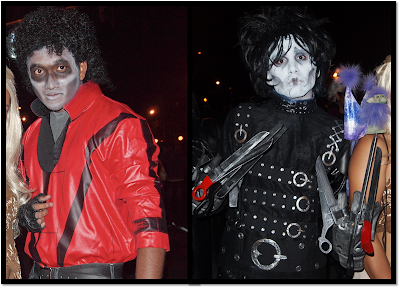 Here are some other note worthy costumes. 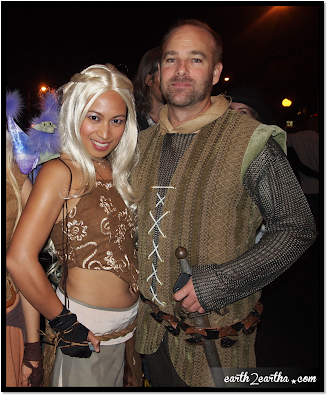 I did not find a Khal Drogo - but I found myself a Ser Jorah! And my Halloween fix? Completely Satisfied!